Look, no wings! 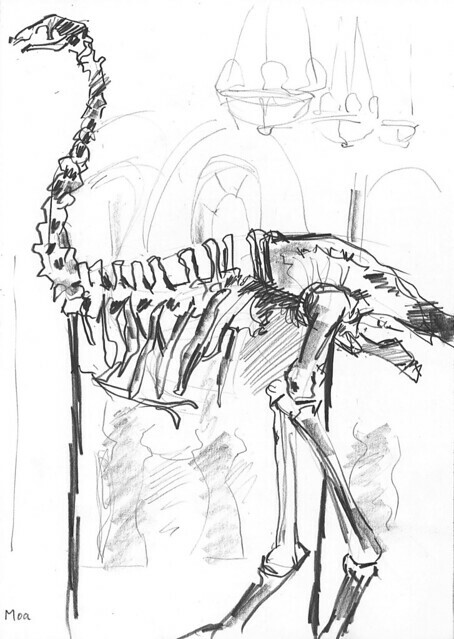 Moas are — were — wingless, unlike other ratites, other birds even, but what really impressed me about this specimen were its powerful legs and hips, and its chunky feet — which unfortunately stretched down below the bottom of my sketch book. An attendant told me I was lucky, an hour ago the gallery was full of noisy kids, I wouldn’t have been able to sit there and draw. I nodded. Long day? I thought. Where better for kids to go on a wet day at the end of the summer holidays? A few weeks ago I wouldn’t have been able to sit there and draw either, not after 5pm. Late opening on Wednesdays is a recent innovation. And a year ago I wouldn’t have been able to get into the museum without queuing for three hours first. So, I intend to fill my new sketch book, get my eye back in. Wednesdays are good. I’ve started now. 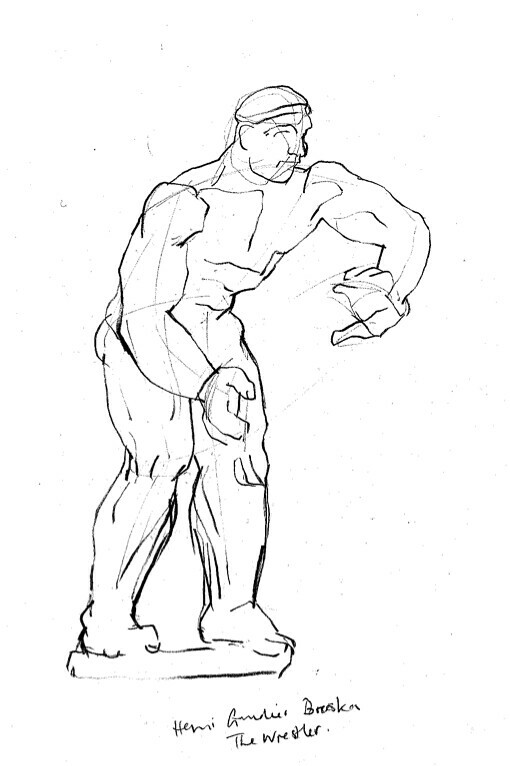 Here’s a line drawing of The Wrestler, by Henri Gaudier-Brzeska, which reminds me of Kettle’s Yard. Wonderful sculpture, poor picture. I’m working on it.